RMT confirms escalation of action on Greater Anglia over threat to guards. RAIL UNION RMT today confirmed that members on Greater Anglia will take further action over the potential extension of Driver Only Operation, and the clear threat to passenger safety, following the company's continuing refusal to give a guarantee on the role of the guard throughout the length of the franchise. The union’s National Executive Committee has again considered the matter and taken the decision to call further industrial action in addition to the strike action already called for on Tuesday 3rd October 2017 and Thursday 5th October 2017. The overtime and rest day working ban is in addition to the strike action already called for on Tuesday 3rd October and Thursday 5th October 2017. The announcement comes as a result of the wholesale and continuing refusal of Greater Anglia to reach a negotiated settlement. 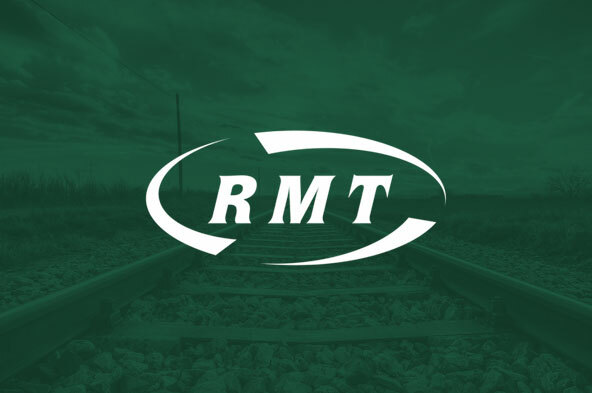 Repeated efforts by RMT in both face to face meetings and correspondence Abellio have failed to provide union reps with the assurances they had been seeking with respect to the role and responsibilities of the guards now and for the length of the current Greater Anglia franchise. “It is the wholesale failure of Greater Anglia to address our members concerns over safety that has left us with no option but to escalate our programme of industrial action. Greater Anglia have been given every opportunity to give a guarantee on the future role of the guard on their services. They have failed to do so and that left us with no alternative but to move to a ballot in the interests of rail safety. “This dispute is about guaranteeing the safety of the travelling public pure and simple. Our members voted by massive majorities for both strike action and action short of a strike but the company have ignored that and have failed to seize the opportunity to give us the very simple assurances on the future of the guards, and the guarantee of a second safety critical member of staff on current services. That failure leaves us no option but to move to strike action.